Since its founding in 1904, the Connecticut Junior Republic has been the beneficiary of major gift support from friends and supporters throughout the United States. Major capital fundraising campaigns have made possible the construction, expansion and renovation of nearly all of the buildings on CJR’s Litchfield Campus, and have contributed to significant improvements at its community-based program sites as well. CJR defines gifts of $5,000 or more as major gifts. In recent years, such gifts have supported facilities construction, equipment and programs to enhance the quality of CJR's care, treatment and education services. 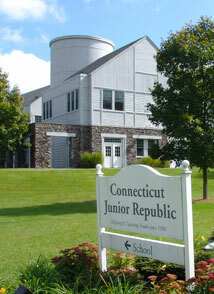 Some of CJR's current priorities include providing behavioral and mental health services through its Wellness Center Programs in 7 locations across Connecticut; scholarships for students associated with CJR programs throughout Connecticut; work-based learning summer programs; and support for music programs at CJR's Cable Academic and Vocational Education Center for boys and girls in Litchfield and Bristol, respectively.